Schemata Workshop proposed an affordable, quickly-erected building that can be easily disassembled for a site in the vibrant neighborhood of Capitol Hill. The design utilized component building for a 2,000 sf, two-level building: an architecture studio on the ground level with an apartment above. The proposed structure would minimize ground disturbance and required site work with a foundation of six auger-cast concrete piers. 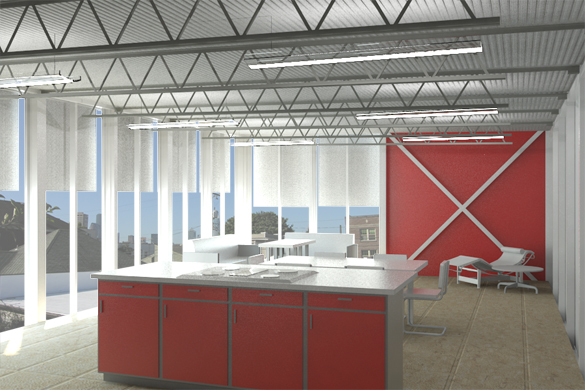 The proposed design was recognized in 2008 by the EPA's Lifecycle Building Challenge, winning the Building - Professional Unbuilt category. Watch the proposed assembly process here.